Hospital staff from all over the world celebrated diversity at a special cultural event at Hull Royal Infirmary this week. Nurses, doctors, administrative staff and volunteers from different countries around the world including Malta, Bangladesh, India and the Philippines took part in World Food Event. In the past few years, Hull University Teaching Hospitals NHS Trust has recruited staff from as far afield as Finland, Hungary, Spain and Portugal to address staff shortages alongside a recruitment drive to attract student nurses from all over the north of England. The most recent recruits are newly qualified doctors from Pakistan, who will stay at the trust for two years to enhance their training before returning to their own country, and nurses from The Philippines, who arrived last month. Held in the hospital’s Kingston Restaurant on the second floor, staff brought dishes from their home countries including Dhalbora, a pakora-style lentil and potato dish from Bangladesh, and imqannun il-forn, a pasta bolognaise type dish with a pastry lid from Malta. Head of Patient Experience Louise Beedle, who brought garlic rice from Goa, said: “We hold these staff engagement events to welcome our overseas staff to the trust and to Hull. 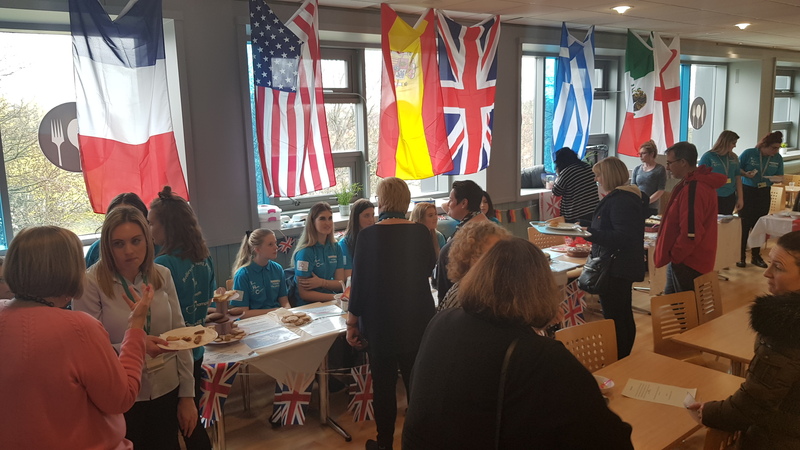 Health and social care students from Bishop Burton College, who volunteer at Hull University Teaching Hospitals NHS Trust in the Department for Elderly Medicine and Oncology at the Queen’s Centre also attended the event, baking cakes and biscuits to represent Scotland, England, Ireland and Wales. Teaching assistant Saleha Begum, who is volunteering at the trust but is keen to work in the NHS with children and young adults, brought sweets and savoury snacks from Bangladesh. She said: “I used to work in the NHS in Devon and moved to Hull almost two years ago. Ward 5 nurse Marica Shepherd came to the UK from Malta 29 year ago and has worked at the trust since 2010.